Rating: 3.1/5. From 102 votes. 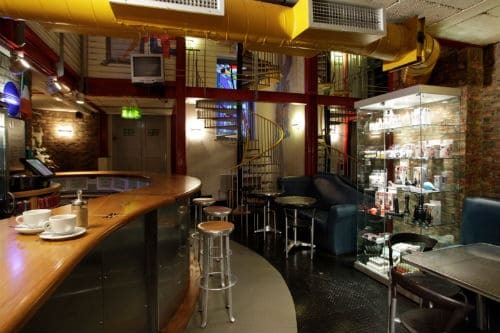 Popular gay sauna over 5 floors in the Temple Bar area, close to all the gay bars and clubs. 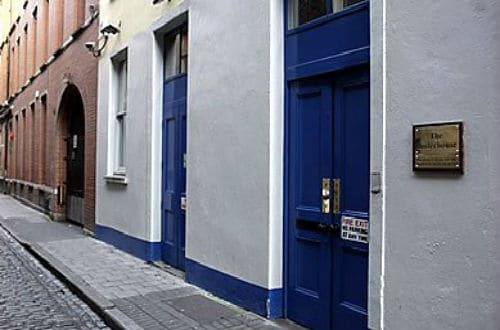 Opened in 1997, The Boilerhouse replaced the former sauna ‘The Gym’ which had been in business since 1979. 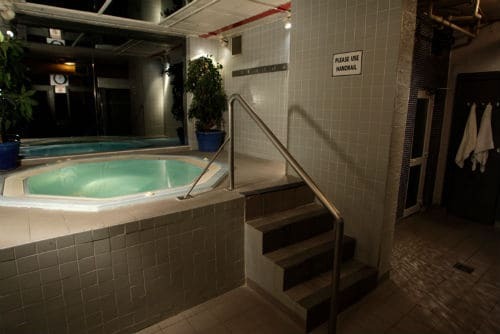 Facilities include dry sauna, steam room, jacuzzi, lockers, showers, private cabins, smoking area, TV lounge, sling area, solarium. The café bar serves coffee, specialty drinks and snacks. Free internet access available. John on 28-Jan-2019 | Reply	Problem with this review? “I have been to the boiler several times throughout the years. I have been there everyday on my holidays. I love everything but the lockers. They are very difficult to open. I thought it was me but seeing other customers with the same problem. I realized that the lockers are probably too old and difficult to open. Having said that I do not have any complaints about it. The entrance fee is 22 € which I guess is the normal in Europe. 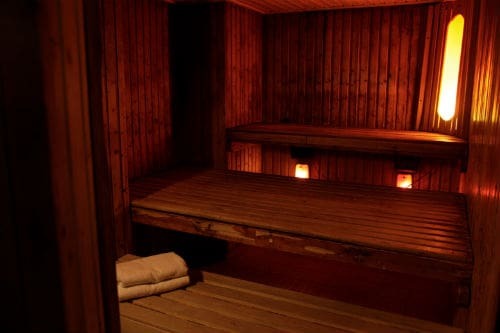 Magnum sauna in BUDAPEST around 14€ DES BOILER in Berlin 21 or 22€. The staff is friendly. It is a huge place and I have seen the staff cleaning it on a regular basis. It is hard to keep spotless with just a couple of guys doing the job. It is not too full of guys on MONDAYS TUESDAYS or WEDNESDAYS you’ll see more the rest of the week. It is crowded on FRIDAYS SATURDAYS and SUNDAY afternoon. There is a smoking area. The crowd mostly white guys of all ages and the rest a sprinkle of everything. I prefer guys in their late 30’s and above so the venue suits just fine. I have had the best times at the BOILER and that is why THE BOILER is my last stop before heading to the USA . In the lockers you’ll find lube and condoms. Jorge on 22-Dec-2018 | Reply	Problem with this review? Fun and clean. Had a great time. G on 14-Sep-2018 | Reply	Problem with this review? Tom on 04-Jan-2018 | Reply	Problem with this review?